Whenever you leave home to take your dog for a walk, you enter the world of others. Not only are you now asked to be mindful of your own interactions, but the interactions of your pet as well. 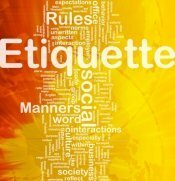 As mentioned in another post, pet etiquette begins with people. While we enjoy spending time with our pets, we aim to be mindfully civil. Consideration is key when you are out with your dog. 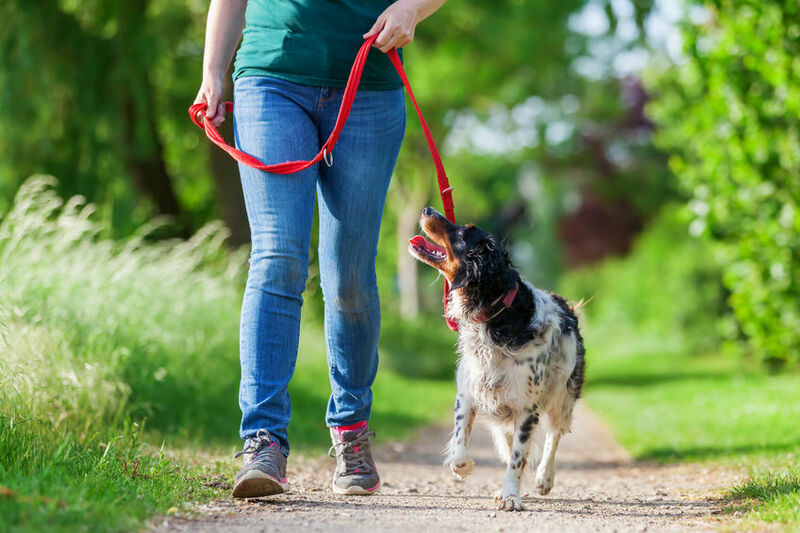 Know your neighborhood, and the people and pets you share it with, so you and your dog can have a pleasant walk every day. Some people don’t mind if your dog does her potty business in their yard but, inevitably, there will be some neighbors who ask that your dog not use their lawn. While you may not understand their preference, respect your neighbors enough to keep your dog walking past to a more potty-friendly yard. The grass area between the street and sidewalk belongs to the city, technically, so have your dog do her business there. Set out on your walk with a positive attitude and mindful attention to surroundings. Be alert to possible challenges along the way. Keep your dog on a short leash, preferably with you in the lead and your dog at your side. This helps keep you in control. Greet other people as you pass by. A nice smile or hello will do. Pick up your dog’s poo! Carry reward treats in your pocket. You never know when one will come in handy. Do not allow barking. Be ready to divert your dog’s attention. Be willing to cross the street to avoid certain approaching people with dogs, areas where you know cats are, or yards with dogs that like to bark or charge. Do not allow your dog to approach anyone you both haven’t met before. If someone asks to pet your dog, give instructions on how to do this. Only allow it if your dog seems relaxed and friendly. Don’t assume your dog is welcome in a store or other place of business. Always ask before you enter rather than assume the entitlement. Apologize if your dog is “rude.” Be understanding if someone seems afraid or annoyed and end the interaction as quickly as possible. If your dog doesn’t know you are in charge, he will take charge. Rather than risk this turning into offending – or even dangerous – behavior, always be the leader. Keep your dog on a short leash. Not tight, but close to you and appropriate for your dog’s size. Walk with confidence. Your dog will immediately sense when you are stressed or nervous, particularly when another animal is approaching. Don’t hesitate to let people know they shouldn’t approach your dog. It is possible to be firm, but polite. Even if you don’t come across this way, it’s better than risking your dog snapping at or biting someone! Keep your dog out of harm’s way. Practice walking and stopping, and your procedure for crossing a street. 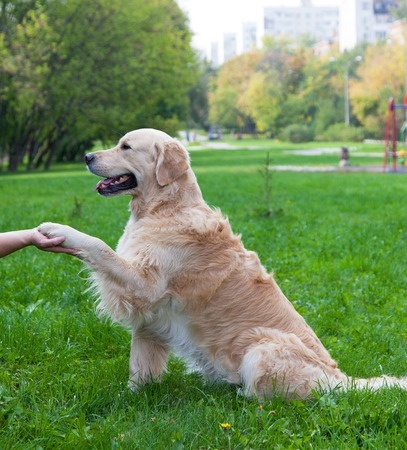 Your dog will learn specific commands associated with various situations if you stay willing to teach them (“cross,” “stop!” “let’s go”). If your dog is friendly and wants to approach another person and/or dog, always ask first before you allow him to do so. Your dog’s love for you is unconditional. One way to return it is to give her the structure and leadership she needs to feel secure. A secure dog is a polite dog! Give your dog this gift and help ensure that your daily walks are pleasant (and safe) ones.